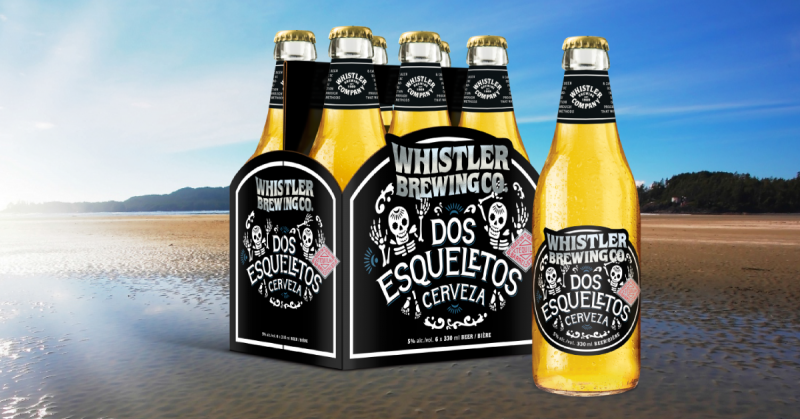 Whistler Brewing’s new summer seasonal “Dos Esqueletos” (Two Skeletons) Mexican-Style Lager is hitting stores May 1st (BC Liquor stores exclusively May & June). We’re extremely excited about this new beer as it’s Cerveza season but this one has a twist; it’s been aged and conditioned over genuine tequila barrel staves for a unique taste. 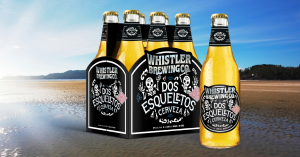 Tasting Notes: The Whistler Dos Esqueletos Lager is new to the Whistler family of beers. This lightly hopped lager is clean and easy drinking with mellow aromas of citrus, hops and a touch of tequila with a crisp and refreshing finish. Aged on genuine tequila barrel staves, this Mexican-style lager comes alive with flavor. You’ll feel it in your bones. come and check out the beer, margaritas, tacos & entertainment!